The Jesus Trail is a special hiking trail in Israel’s Galilee region, the land in which Jesus is said to have lived in the Bible. Opened in 2009 ahead of the The Pope’s visit to Nazareth, the Jesus Trail is a 40 mile long walking trail in the Galilee which follows the footsteps of Jesus. From Nazareth, Jesus’ home town, the trail winds its way through pretty towns and villages mentioned in the New Testament, to Capernaum on the shores of the Sea of Galilee. The trail was planned by Tour Guide Moaz Inon with the aim of enabling visitors to the region to “meet and interact with the multicultural nature of the people that are living in the Galilee today”. As such, the trail, which, if hiked in full is designed to take four days, passes through modern communities inhabited by Jews, Christians and Muslims, a nice and subtle modern day story complementing the Biblical stories of the land. Leaving Nazareth, the Jesus Trail passes through varied settlements including Zippori which, in the time of Jesus was the center of the local Roman government, and the place where Jesus was thought to have worked as a carpenter. Today, Zippori is a small rural community, but also hosts a large National Park which includes the archaeological remains of the ‘Mona Lisa of the Galilee’ – a mosaic resembling the Mona Lisa. Cana is of Biblical fame as the location of Jesus’ first miracle in which he is said to have turned water into wine. Winding its way through the streets of modern Kfar Kana, the trail sets hikers in a situation which truly brings the Bible to life. Further along is the topographical landmark of the Horns of Hittin famous as the spot where Salahaddin defeated the Crusaders, signalling a bloody end to the Second Crusade, and topographically important as a high spot from where breathtaking views to the Sea of Galilee can be enjoyed. As the trial winds its way down to the shores of the Sea of Galilee, more and more familiar places will pop up on the map and on the roadsigns including the Mount of Beatitudes where Jesus delivered the famous Sermon on the Mount, and below, Tabgha, where the gospels of Mark and Matthew tell the parable of the loaves and the fish, and the feeding of the 500. The trail ends at Capernaum on the shore of the Sea of Galilee. Regardless of religious belief, the Jesus Trail is a great hiking trail whether you decide to take the four days to complete the whole route, or simply take short stops. The great thing about this trail is that it is planned with places to stay and eat along the way with great signage and incredible resources available on the Jesus Trail website. The Sea of Galilee (the Kinneret) is a magnificent geographical marvel surrounded by pretty rural agricultural settlements. Famous because of its prominence among New Testament writings (as is the whole of the Galilee as the place Jesus lived), the Sea of Galilee is one of the earliest settled areas in the Land of Israel and boasts archaeological ruins sitting alongside some of the first pioneering settlements in Israel, as well as religious sites, modern cities, and endless outdoor pursuits. Whilst Tiberias, the largest city around the Sea of Galilee, and a holy city in Judaism, is nothing special in itself, it is here that you can visit the Tiberias Hot Springs, ancient pools filled with water from 17 natural springs, for some pampering. The springs also have massage and mud treatments and Turkish Baths. From Tiberias, and elsewhere on the lake, it is possible to rent a bike and cycle around the Sea of Galilee. 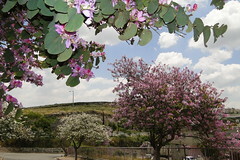 The region also has loads of hiking trails, including the Jesus Trail which runs from Nazareth to the Sea of Galilee. The coolest place we know around the Sea of Galilee is Rob Roy’s Canoes. Near Kibbutz Kinneret, and on the banks of the Jordan River south of the lake, this oasis is a relaxing spot. Canoes can be hired for the lake, or you can just sit on a bedouin rug, with Bob Marley music playing in the background, under the shade of a tent, and watch the water flow through a river which is so steeped in and important in the history of the world. For an extreme view of the Sea of Galilee, above the Eastern shores of the lake, Switzerland is a forest and driving trail. Suitable for all cars, this tarmacked road affords fantastic views of the lake. And for a more unique way of exploring the lake itself, take a Jesus Boat, which is a wooden boat in the style of the time of Jesus for a ride on the lake and get a unique perspective of the geography and scenery, in surroundings which are out of the Bible. About 5 miles east of the lake is Hamat Gader – Hot Springs one of Israel’s most popular attractions. With mineral springs of up to 50 degrees, there have been ancient baths here for almost 2000 years. There is also an alligator and exotic bird reserve! There are lots of open access points to the beaches surrounding the Sea of Galilee, although these are unserviced. If you dont require facilities, the best beach is Tsemach Beach on the eastern shore, where you can also rent basic facilities for a small fee. 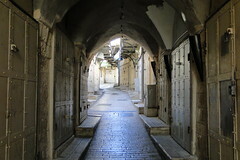 Nazareth is described by some as ‘the Forgotten Son’ of Israeli tourism. Nazareth, located in Israel’s Galilee region not only has over a dozen important Christian sites, but as Israel’s largest Arab city, has some fascinating cultural sites and experiences to savor. The Pope came to Israel in early 2009, and Nazareth was one of the areas given big government grants to improve its tourism infrastructure for this. 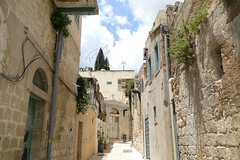 As a result, Nazareth has been given a push back onto Israel’s tourism map – and with its importance as the childhood home of Jesus, as the largest Arab city in Israel, and its stunning location right in the middle of the Lower Galilee (about 15 miles west of the Sea of Galilee), it’s a fascinating place. Nazareth’s Old City is most famous for its traditional shuk (Arabic for market) which attracts Israelis from across the country looking for traditional Arabic produce. This in itself is an experience, and a great contrast to the air-conditioned malls dotted around the country. For those interested in Christianity, the Old City and surrounds are filled with important Christian sites, including the Church of the Annunciation. Off the beaten track in the Old City are two sites which are worth a visit if you are feeling in a historic and cultural mood… The Nazareth Nuns’ Convent, located not far from the Church of Annunciation, is a totally unexpected, but very impressive archaeology site. The nuns, who arrived in Nazareth from France in 1855, purchased several stores in the market and started establishing the convent. During the building process, many archeological findings were uncovered, including a large hall with a big arch above it, catacombs, water cisterns, mosaics, an ancient church’s altar and a Jewish burial site believed to be from before the Second Temple period. The sisters also have a small museum exhibiting old coins and pottery. Tours of the subterranean site are by appointment only for groups, though. The Synagogue Church, is according to Christian tradition, where Jesus studied and prayed. In addition, this is where he gave his famous sermon on Shabbat (Matthew 13, Mark 6, Luke 4) when he declared himself as the Messiah to his Jewish village members. 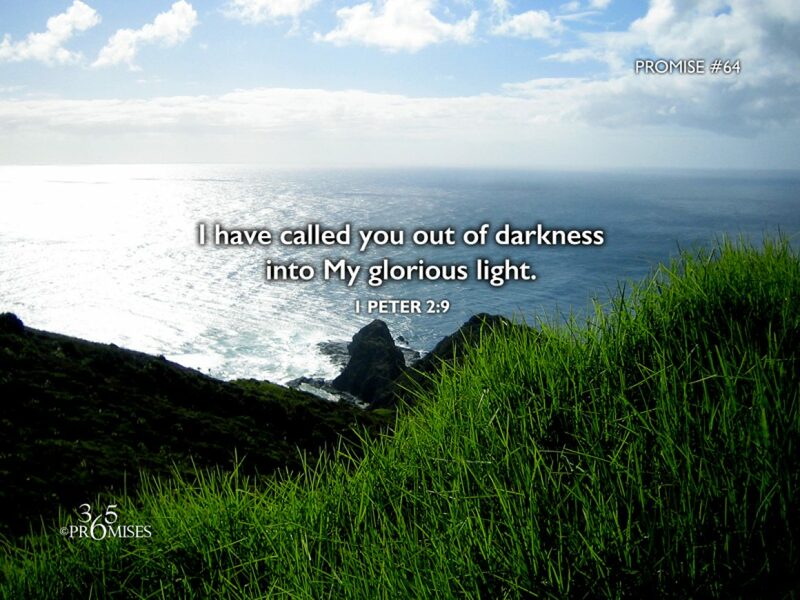 This sermon infuriated the congregants and they allegedly dragged him to Mount Precipice planning to push him downhill, but he jumped and disappeared. Today, the Synagogue Church belongs to the Greek-Catholic community. According to historians, attributing this synagogue to the one where Jesus was praying is a late tradition that started after the Byzantine period: All early Jewish holy sites were destroyed by the Romans at the end of the Second Temple period, and most ancient Galilee synagogues are from the third to sixth century. Nazareth also has some impressive architecture with an abundance of Ottoman era homes which have stunning frescoes – painted plaster walls and ceilings. Although not in the same condition as they were when they were constructed for wealthy merchants, many of these homes still have these impressive features which, if you want to, you can see by arranging a tour through the Nazareth Tourist Association. 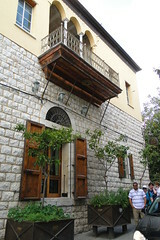 One of these such properties is the Fauzi Azar Inn, one of the most popular places to stay in Nazareth, a 200 year old Arab-mansion converted into a guest house. Exploring the wider area, there are loads of places to visit in the Lower Galilee and Sea of Galilee regions. 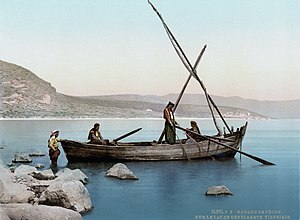 Of particular interest, however, might be the Jesus Trail which is a recently opened walking route which traces the footsteps of Jesus from Nazareth to Capernaum on the shores of the Sea of Galilee. It is designed to take a few days to hike, although you could just do short stages. The beautiful marked trail is perfect whether or not you are interested in it for its religious meaning, as it offers fantastic scenery and newly made footpaths. The Lower Galilee region of Israel is just a one hour drive from the main cities including Tel Aviv, yet is worlds away. The least hilly region of the Galilee, the Lower Galilee stretches from the Jezreel Valley (Valley of the Armageddon in Christianity) on the eastern slopes of Mount Carmel across to the Sea of Galilee. It includes Mount Tavor, Megiddo, Zippori and Mount Gilboa, the town of Nazareth, and amazing numbers of outdoor and leisure pursuits. Zippori is home to amazing archaeological excavations, including the mosaics of an ancient Jewish city, which notably include the Mona Lisa of the Galilee. The city was described by the first century Jewish historian, Josephus Flavius, as “the ornament of all Galilee” and is a beautiful spot with beautiful things to see. Gan Ha’shlosha was chosen by TIME magazine as their favorite destination in Israel. The National Park offers a warm river where you can swim in a landscaped surround. As well as this is a small selection of archaeological sites and a heritage museum. The main draw, however, is the natural jacuzzi under a waterfall. Although busy in the summer, this is a great place to visit. Nearby, another breathtaking experience can be found at Mount Gilboa. The Mount Gilboa Scenic Road winds across the peaks with places to stop off and hike, as well as an iris reserve. This is a great way to see the beautiful landscape of the Lower Galilee and Jezreel Valley. Nazareth, is Israel’s largest Arab city, and also of obvious importance in Christianity. It has recently seen something of a tourism renaissance with large investments improving the facade of this city and its sites.